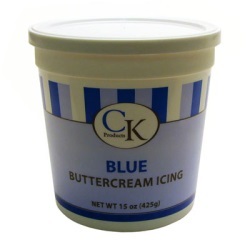 Navigate: StoreFront / Cake Shop / Ingredients / CK Buttercream Icing - Blue - 15 oz. There are no preservatives in this buttercream icing. Shelf Life: 15-18 months if kept in a cool environment.